Dear millennials: You’ve no doubt noticed that you’re the financial services industry’s new BFFs. It seems hardly a day goes by that some investment firm doesn’t release a study or survey purporting to offer keen insights into your financial behavior or suggest astute ways you can improve your retirement prospects (that not-so-coincidentally involve buying that firm’s products or services). But while having an entire industry tripping over itself to woo you can be a heady experience—I know because my fellow baby boomers and I received similar treatment for years—the unrelenting attention can also be a distraction that can interfere with making good financial decisions. So as someone who’s been there, done that—and who’s been covering financial topics as a journalist for more than 30 years—I’d like to offer three tips that can help you sort through the hype and hoopla and improve your odds of attaining financial security. 1. You are you, not your generation. Depending on what research you believe, most millennials are doing pretty much what they need to do to stay on track toward a secure retirement—or they lack a coherent strategy and are essentially “shooting in the dark” when it comes to planning for their post-career life. As for investing, millennials have often been described as being overly cautious because they invest too much of their savings in cash. On the other hand, if you look at the figures from this Employee Benefit Research Institute report on how workers divvy up the savings in their 401(k) accounts, you’ll see that people in their 20s and 30s generally invest along the lines most advisers recommend for people in those age groups, keeping between 75% and 80% of their savings in stocks on average. Which view of millennials’ financial acumen is correct? I have no idea. I suspect that, as with any large group, there are some people who know what they’re doing, some who are clueless, and many others somewhere in between. But when it comes to your personal planning for goals like retirement or achieving overall financial security, it doesn’t much matter whether your generation as a whole is excelling or not. What matters is how you’re handling your own finances. 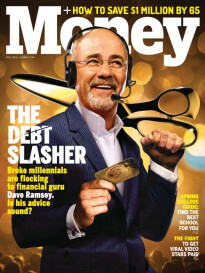 So feel free to largely ignore the constant onslaught of surveys and studies about millennials’ financial virtues or failings—many of which are, in my humble opinion, mostly thinly veiled marketing efforts anyway—and focus instead on making the financial decisions that make the most sense for your particular circumstances. 2. This isn’t rocket science; keep it simple. The message from many, if not most, investment firms is that investing is a complicated business. If you want to be successful, you not only have to be prepared to invest in all manner of arcane investments—volatility ETFs, smart beta funds, precious metals and commodities, “thematic” ETFs, etc. You’ve also got to be ready to jump from stocks to bonds or one sector of the market to another based on political trends, the current outlook for corporate earnings and economic growth, and the Fed’s latest pronouncement on interest rates. Of course, if all this proves overwhelming—which is pretty likely unless you’ve got a PhD in economics and you’re willing to devote your life to managing your investments—financial firms are more than happy to guide you through the choices, for a fee. But the idea that investing is inherently complex is nonsense. To make your money grow, you don’t have to be on the lookout for every new whiz-bang fund or exotic investment churned out by Wall Street’s marketing machine. You can get along perfectly well—better, in fact—by keeping things simple. When it comes to investing your savings, you can get all the long-term growth potential you need by assembling a basic portfolio of broad index funds: specifically, a total stock market index fund, a total bond market index funds and, if you want to go the extra mile and get some exposure to foreign markets, a total international stock index fund. Not only will such index funds give you broad diversification, they’ll also keep annual investing fees down, which means you’ll get to pocket a bigger share of investment gains. 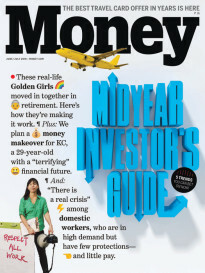 More From RealDealRetirement.com: Are The Savings Targets Recommended For Retirement Realistic? As for the idea that you’ll boost investment returns by nimbly ducking in and out of different investments at the right time to avoid losses and rack up gains, well, that sounds nice. But it’s unrealistic to expect that you (or any pro investing for you) will consistently make the right calls. A more productive and realistic strategy is to settle on a mix of stock and bond index funds that jibes with your risk tolerance and how long you plan to keep your money invested and, aside from occasional rebalancing, stick with that mix regardless of what the market is doing. If you feel that putting together even such a simple portfolio is more than you can handle, then a target-date retirement fund—a fund that gives you a mix of stocks and bonds appropriate for your age—can be a reasonable way to go. 3. Maintain a healthy dose of skepticism. Over the course of your career (and beyond) you’ll be on the receiving end of all sorts of advice, recommendations and sales pitches for investments and financial services. While you want to keep an open mind to new opportunities and ways to improve your financial prospects, you also want to be careful you don’t waste your savings on expensive or gimmicky investments or undermine your long-term strategy by reacting to every wiggle in the markets. In large part that means asking discerning questions. If you’re being pitched an investment, the relevant queries might be: Why, exactly, do I need this investment? Will it complement the rest of my holdings and, if so, how? What are the potential downsides? What fees and costs are involved? Is there a less expensive alternative? If you’re considering working with an adviser, the key issue is to make sure the advice you get bolsters your bottom line, not just the adviser’s. It’s virtually impossible to eliminate all conflicts of interest between you and an adviser, but you nonetheless should ask the adviser to identify the potential conflicts in your relationship and explain how he will manage them to your advantage. (If the adviser claims there are no conflicts, you need to move on to someone else.) You’ll also want to ask what professional credentials the adviser has to back up his analysis and recommendations, and get a rundown in writing of all the fees you’ll incur. In the end, achieving financial success comes down to getting a few important things right: saving on a regular basis; building a diversified portfolio that’s appropriate for the level of risk you’re willing to take; resisting the temptation to make dramatic changes in your investing strategy just because the market is soaring or sinking; and, being careful about whom you entrust with your money. There are no guarantees in the financial world, that’s for sure. But if you get the basics right and avoid the noise and distractions emanating from much of the financial services industry, you should do just fine.